"We have listened to what British Columbians have to say on this issue and it is abundantly clear that the grizzly hunt is not in line with their values," Doug Donaldson said in a statement.The government consulted with Aboriginal groups, stakeholders and the public, and said that 78 per cent of respondents supported an outright ban. A grizzly bear is seen fishing for salmon along the Atnarko river in Tweedsmuir Provincial Park near Bella Coola, B.C. Saturday, Sept 11, 2010. In addition to the auditor general's report, B.C. 's grizzly hunt also made headlines in Septemberwhen singer Miley Cyrus added her name to a list of those lobbying the government to close the "loophole" of hunting for food.Cyrus and others were critical of the previous policy that came into effect at the end of November that allowed the killing of grizzlies as long as they removed some of the animals' meat. And others were critical of the way the NDP updated its hunting policy weeks after the trophy ban began. The B.C. 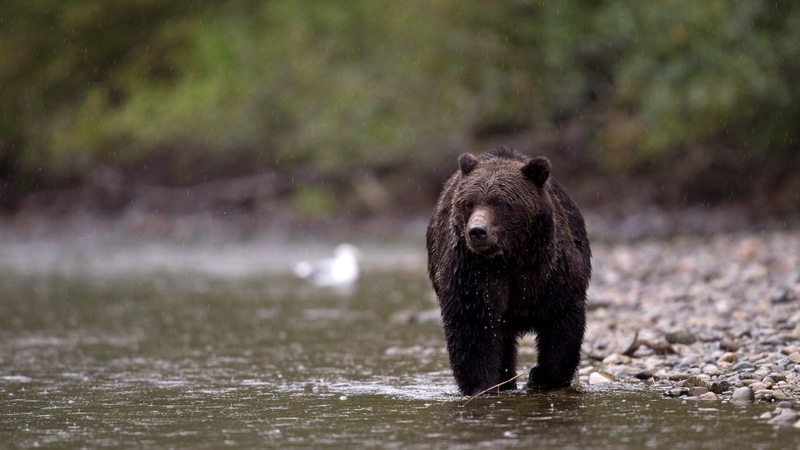 Wildlife Federation, a conservation organization that supports sustainable hunting and fishing, was critical of the change of heart, saying it was "deceived" during the consultation process.The BCWF said it was told that the NDP was only looking at what to do with parts of bears used as trophies, and that there would be no discussion about hunting in general. The organization previously spoke out about the ban on trophy hunting, saying the rule requiring hunters to throw out parts typically kept as trophies was wasteful. "This is the most disingenuous approach to forming public policy I have ever seen during my career inside and outside government," president Harvey Andrusak said.The BCWF said it expects closing the hunt outright will result in increased human-bear confrontations and attacks and that taxpayers will be on the hook for managing the bear population. Referencing the auditor general's report, the BCWF said habitat loss is a more important issue to address, and that many of its members feel betrayed.